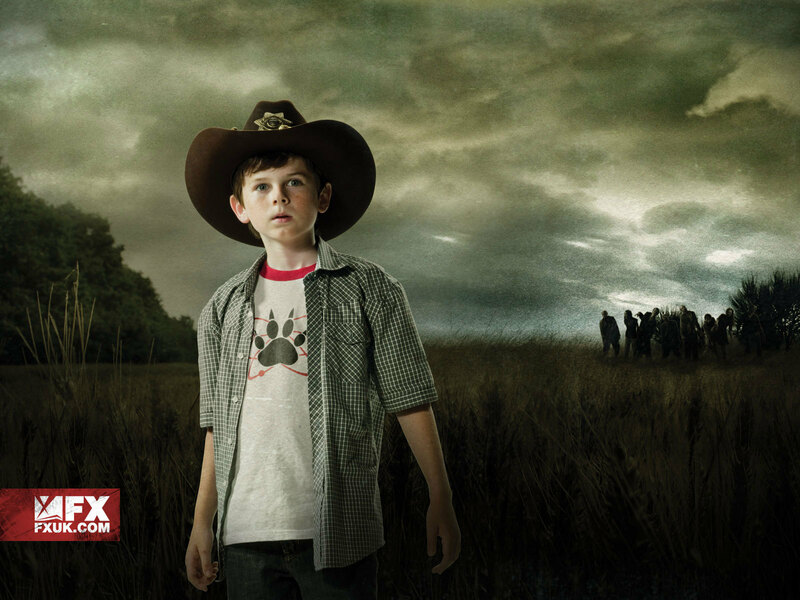 Carl Grimes. . HD Wallpaper and background images in the The Walking Dead club tagged: the walking dead season 1 chandler riggs carl grimes. This The Walking Dead wallpaper contains fedora, vilten hoed, homburg, cowboyhoed, trilby, fedora met vilten hoed, and stetson. There might also be schipper, leghorn, panama, hoed, zeeman, skimmer, strooien hoed, livorno, panama hoed, matroos, stro hoed, snap rand hoed, module rand hoed, vierdeukenhoed, and campagne hoed.